Box Dimensions (LxWxH) 4.5 x 3.9 x 0.7"
32GB XQD G Series Memory Card is rated 4.6 out of 5 by 240. Rated 1 out of 5 by Ryan from Used card in Nikon Z7 failed I formatted the card on computer then in camera when i got it . I kept getting Card, Err on my New Z7 camera with about 100 raw files on the card already. I would turn camera off then remove card and re insert the card and it would work for about 3 more pictures then the Err would pop up again. I was traveling to Iceland so this was very disappointing that this kept happening. However after doing this a few times to get it to work, the card completely failed and said For to format the card. When i put the card into my computer to save the files my macbook pro would not recognize the card . Now i have a Dud $300+ memory card. Rated 5 out of 5 by CHARLES from Excellent Write/Read Speed I use these memory cards for my Nikon D4S and my D500. When using my D500, the cards are so fast I can shoot 200 consecutive shots at 10fps! These cards give me the chance to effectively increase my buffer size (effective buffer size is a race between you generating data and your card writing data). Small size is nice too. But they are not as small as SD cards, nor as cheap. Rated 4 out of 5 by Cyprinodon from B&H needs to protect their shipments The XQD card was packed by the manufacturer in a small plastic hard case. This was great as the package was obviously stepped upon sometime in the shipment to me (I could see the footprint on the package and the scuff marks). The shipment was not protected at all from B&H as it was just in a thin plastic envelope. Rated 5 out of 5 by Rafael from Expensive but great I use it for my D850, big RAW files, along with 256GB SanDisk SD card they make a great combo. I have the 64GB and 128GB I use for D4s and D500. 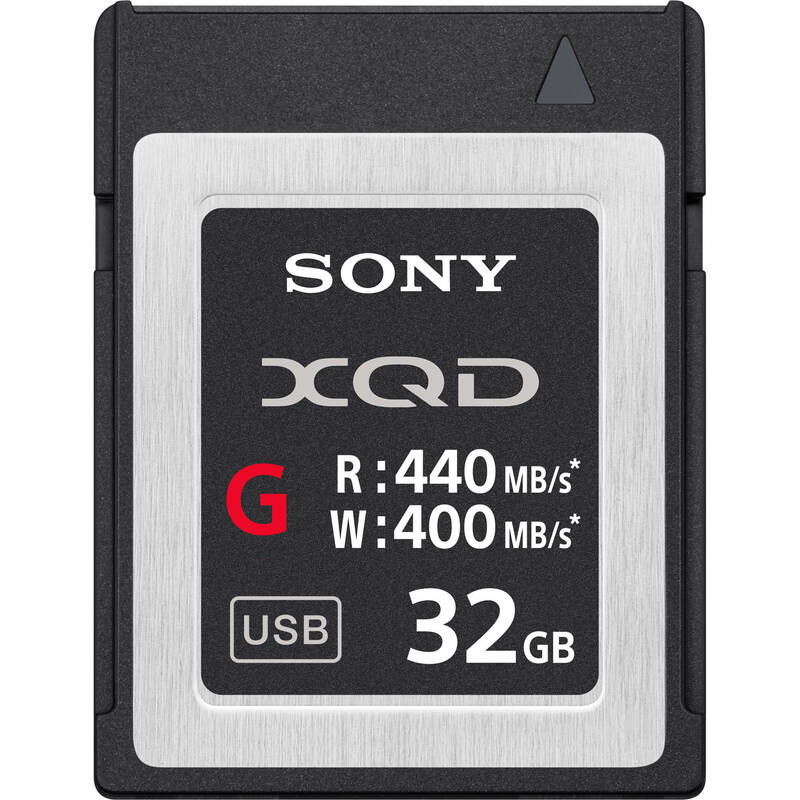 I have had occasional issues with SD cards by never with Sony XQDs...I wish I can have more but it is hard to burn $463.50 per card. Rated 5 out of 5 by Mark from Very fast, no waiting The size of the card speaks for itself. I use it in a Nikon D500 and I usually shoot to capture both RAW and large JPEG files. Even with that, I can shoot continuously at high speed for as long as I want without the Memory Card slowing down the camera. Its amazingly fast. Its a shame that it appears that the XQD format is a dead-end one, because its about ideal for my purposes. I dont shoot video so I dont know how well it would work for that. Rated 4 out of 5 by Brian from Fast card, but make sure that your FS7 is at the latest firmware 4.3 as of this writing. Or the card wont work, and youll get a media not guaranteed message in your viewfinder! An unwelcome message indeed. After I updated the firmware, everything went as expected. Rated 4 out of 5 by Jim from XQD Card Does Its Job I am a retired photographer and not an engineer so I do not go into detailed testing of everything I purchase. If it works like it is advertised, that is fine. This card seems to do that. It transfers files a little faster that my best CF cards used with the Nikon D3 but he Z6 files are twice as large (raw files) so I would say that it is fast. It is well built and hopefully will last a long time. I did have to purchase another card reader since none of my readers were equipped to handle this new card. On the downside It is a bit pricey though. Rated 4 out of 5 by Edward from Works like it should Im using it in my D850. If Id shot only in the studio I wouldnt have bought it. But I shoot 50/50 between the studio and on location. Had to get it for back-up. Ive got a good computer and Im not getting any ware near 400mb wright. 4 stars is for the cost, $130...really. Does it Comes with USB card Reader? How many minutes of 4k Video from the Nikon Z6 can you get on the 256GB card? The maximum image quality for video with the Z cameras is 4K/30FPS. This creates a 144 Mbps rate. (144 Mega bits per second) This equals 64 gigabyte /hour (GB/hr.) Therefore a 256GB card divided by 64GB equals 4 hours of total record time. Remember however that the camera's clip length is 29 minutes and 59 seconds and it will then stop. To proceed, simply press the button again. If you find that annoying, speak to the European Union regarding their tax on video cameras. Can these cards work in the sxs card adapter for my sony F5? Yes, these cards should work in the F5 with an SxS Card Adapter. Does this work with Sony A7 III ? Is this Sony 32GB XQD G Series Memory Card compatible with the Nikon B700? I'm not a pro photographer, so can anyone advise a less expensive card for this camera, 32GB? Thanks. Nikon D700 support only CF memory, XQD can't. 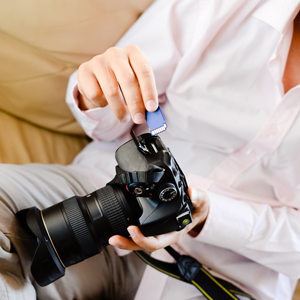 Will this card work with a Lexar XQD card reader? Will my MacBookPro (mid 2015) read this card in it's slot without having to use a card reader? I highly doubt it. Card reader is small and cheap and works well. I have the Sony reader.